Published April 8, 2018 at 647 × 1152 in Banderas Bay to La Paz. I recently found out that these Mexican bonito are good eating. Been throwing them back for the past two years thinking they were like the Pacific Bonito that we tried to eat on the trip down to Mexico. 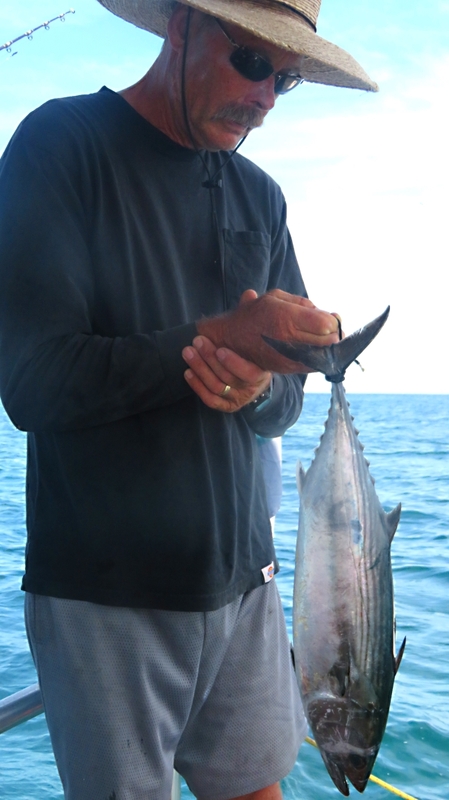 This one I caught in the dinghy at Isla Isabella.